This looks great on my office wall! 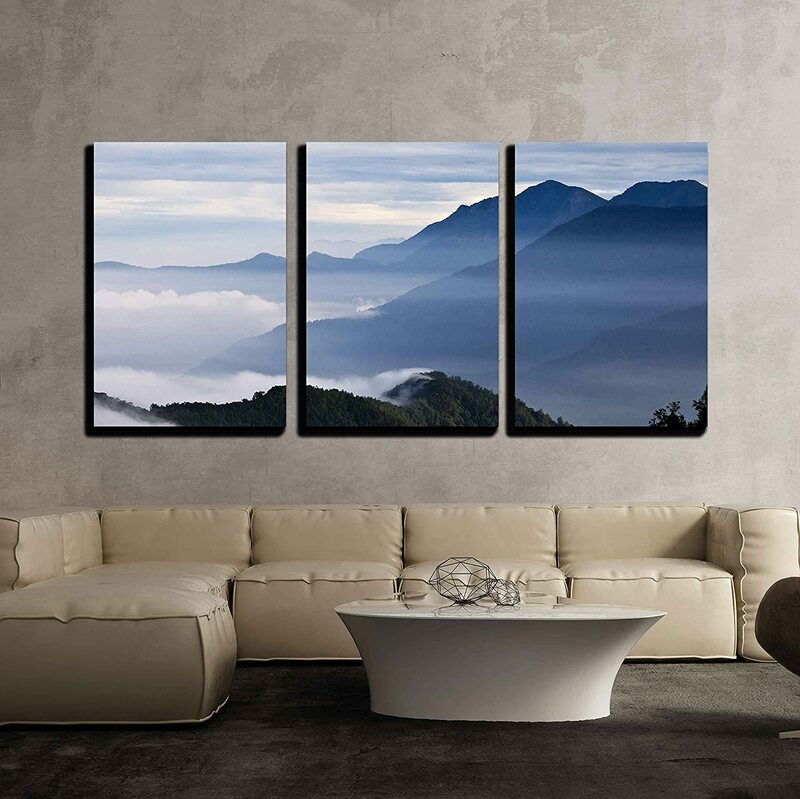 High quality prints and easy to hang. Coworkers are jealous. So much better value than art.com purchases. The quality is great. There is nothing to dislike, nothing wrong! Will buy from this seller again. Truly 5 stars. Thank you. Great art and its really as captivating as the pictures. Upon receipt and hanging mine, I smudged the canvas, contacted customer service on a suggested resolution, and they were more than happy to send me a new one. BEWARE: Use gloves when hanging, as to not get oil from hands on the canvas, which will smudge. Best Customer Service! Arrived damaged. Very visible scratches. Pathetic to be damaged for the premium price charged. Canvas looks as advertised, sturdy frames in back with included saw-tooth mounts and screws. Each of the three panels weighs about 3.6 pounds. They were a little tricky to hang since alignment and spacing are important details with three panels. I ended up using stick-on hanging strips (4lbs per strip) - one on each side of each panel. Looks great over my couch!